So, the Batman Arkham City Sequel may well be a prequel set in the Silver age of DC Comics. 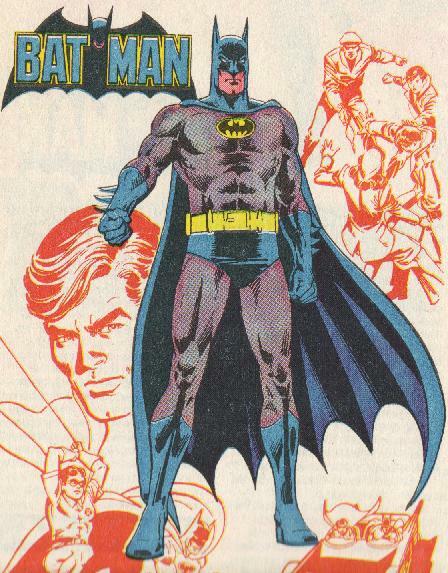 Which means there are chances that Batman may be suited up in Blue and Grey tights, a la Adam West in the campy 60s show. I would shudder at this thought, but to be fair, the show had its own flair, for the time, of course. However, with Rocksteady studios helming the game, you can be rest assured that they'll bring the same level of awesomeness, they brought to the franchises previous installments (Arkham Asylum and Arkham City). Now if the game is indeed being set in the silver age, then all the rumours and hints about Harley Quinn and her alleged demon spawn from the Joker himself being the main villain of the game may not be true. With Mark Hamill having declared that he may not be returning for the next installment of the series, it may also seem that Rocksteady may shift focus from the Joker and Arkham Asylum itself and make Batman roam freely tnhroughout the entire span of Gotham City and not just a part of it. The scope of such a free roaming possibility is enormous. Batman moving in the shadows of the entire span of Gotham City and doling out justice to the scum of the underworld would be awesome. And if treated right, the game could have the epic noir feel that Spiderman: Shattered dimensions was able to sort of achieve. But I believe Rocksteady can ace it. Gotham City in the sixties, a decade explored to much commercial success by both the X-men and the Transformers. So just imagine what Batman can achieve in said decade, amid the moon landing and the cuban and chinese missile race. Add to that the era of the Mustang and just imagine a sleek and pimped out Batmobile with a Mustang chassis. That would be Epic. Bataman riding a Batmobile Mustang. This is where you use the word Epic. As for possible storylines, theres a great deal of stories to choose from. But I don't think Rocksteady will be bringing back the Joker for this, we'll just have to wait and see.